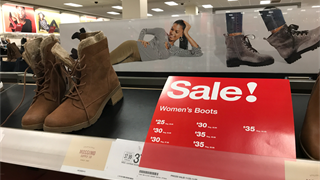 Black Friday 2018 came early this year: by Wednesday morning, there were already many deals on offer. 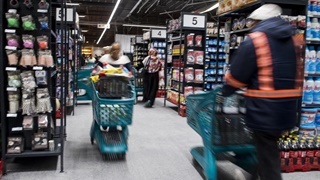 The most anticipated promotions were those from Makro, who launch its ‘Black 5 Day’ specials at 7am this morning. But the promotion got off to a rocky start after its online store crashed this morning. To find out what's on offer, here is a link to its catalogue. Makro customers who shop online will only be able to buy sale items - non-sale products will not be available until after Black Friday. 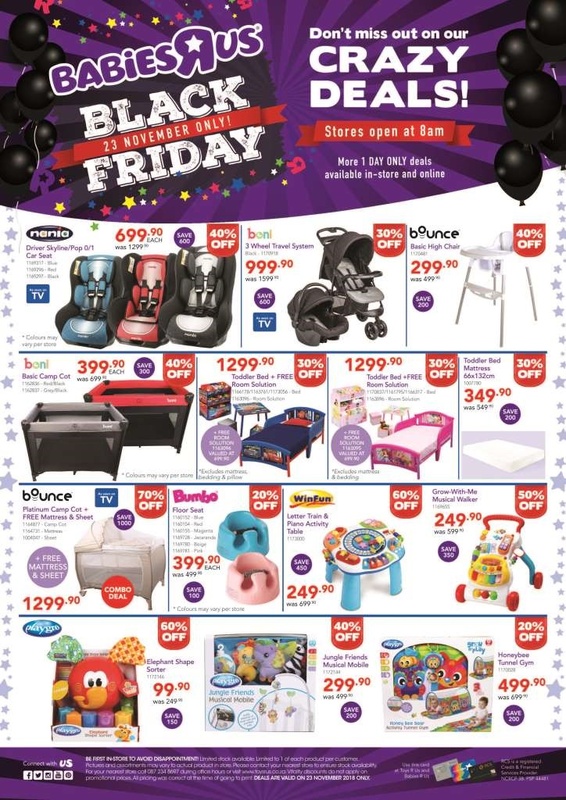 This year, Makro stores will not be opening at midnight on Black Friday after stampedes last year. Dozens of Game stores will be open at midnight, though. Today’s deals are up to 75% off (we could only find two, though) and they say they are building up to a ‘up to 100% off’ Black Friday. Details are a closely guarded secret. 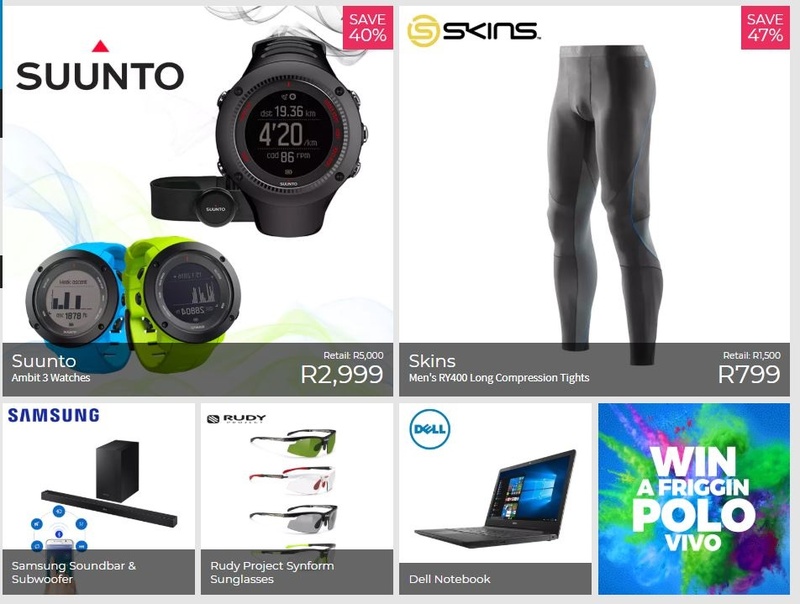 Today’s picks are all about active wear with discounts on Sunto watches, compression clothing brand Skins and Rudy Project sports sunglasses. The Kid Zone is offering savings on prams and cribs. They have listed a bunch of other budget friendly toys including Teenage Mutant Ninja Turtles and Disney Princess Doll merchandise. Today's new deal is 30% off women and men’s sleepwear. Remember in order to maximise some of your discounts, you will need to be a WRewards member or have a Woolworths card. 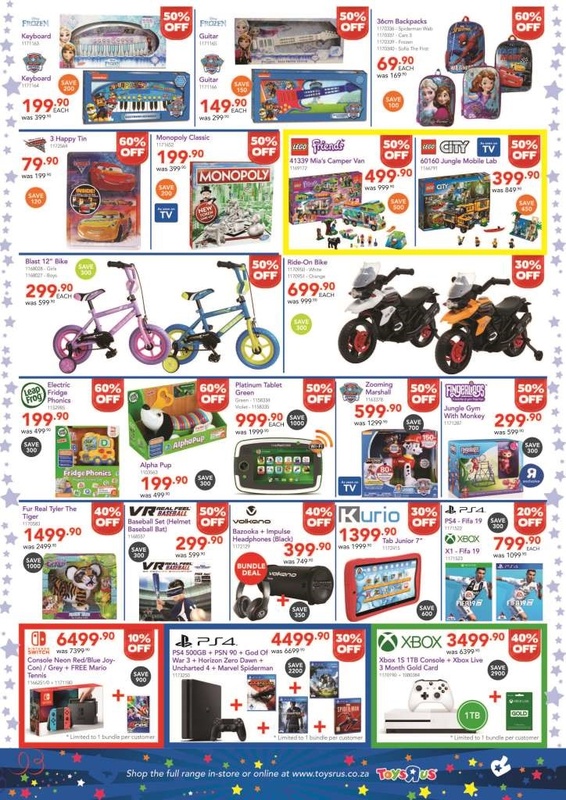 These are the top picks for their early Black Friday deals online in Gauteng and Western Cape. 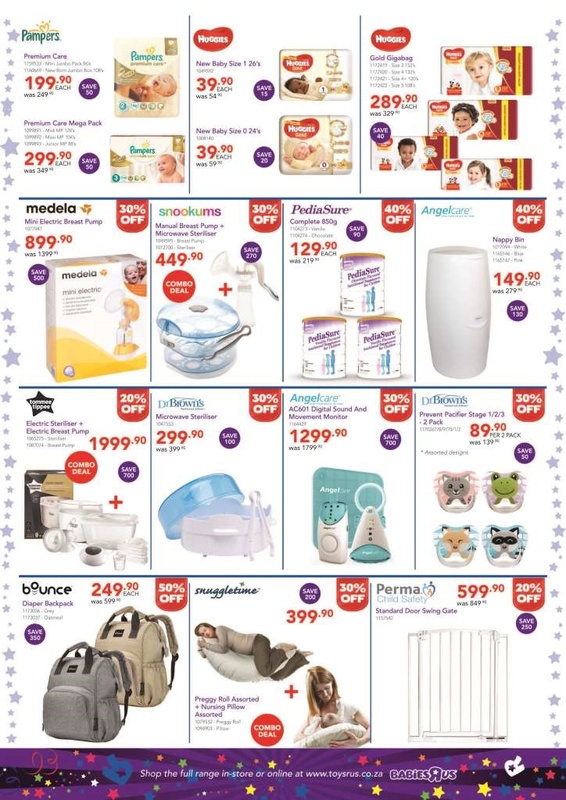 Pick n Pay's top deals online. The retailer will offer savings up to 50% on food, liquor, toiletries and other household products until November 25. 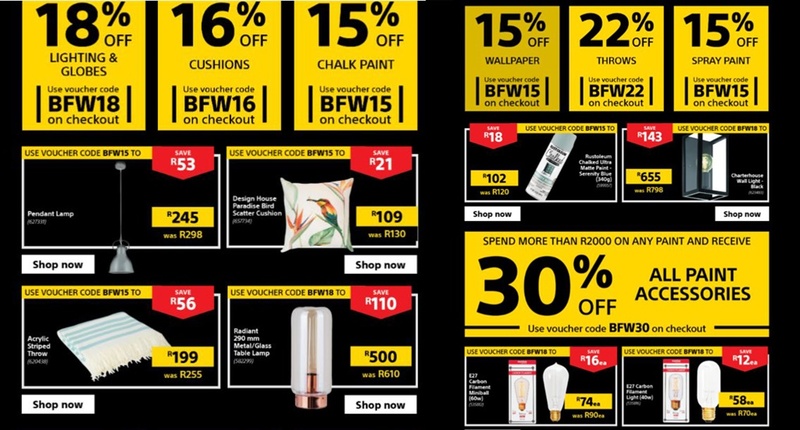 Today you can get 18% off lighting and globes, 16% off cushions, and 30% off painting accessories. The HiFi Corp is running with daily deals as well as a week-long catalogue. None of the pre-Black Friday deals will be repeated on the Black Friday, so if you see something you like - get it now. We looked at their best sellers list and deals include a 4 plate hot stove, a Sinotec 124cm HD LED TV, and an Xbox One going for R3,499.00. 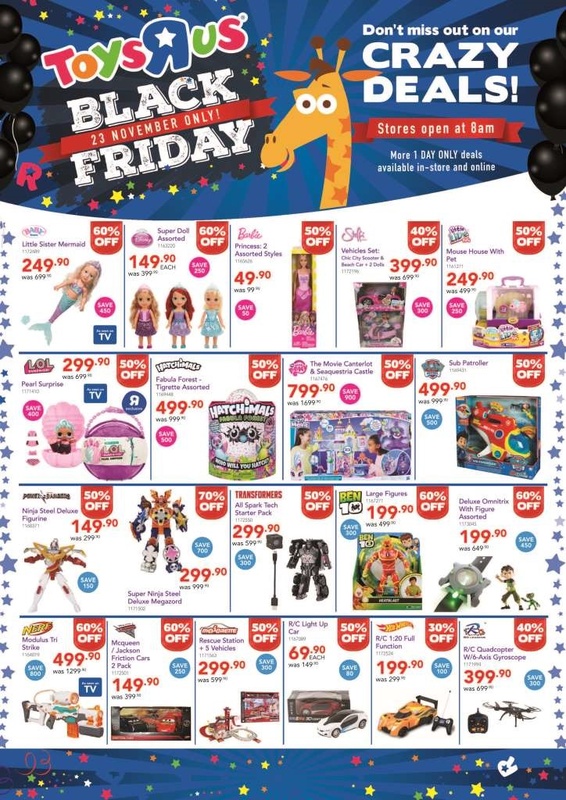 The toy store franchise has lived up to its promise of cutting the prices of some of South Africa most popular toys this year including brands Barbie, Lego, L.O.L. and Hatchimals. The tech store has made available its online and in-store catalogues. If you want to maximise your chances of getting the best deals, it's best to go instore, which has a much broader range of goods on sale. 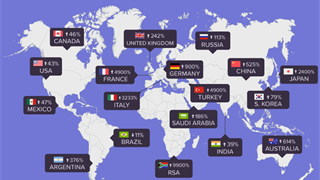 So far, the biggest saving you can get online is a 50% discount on console games. 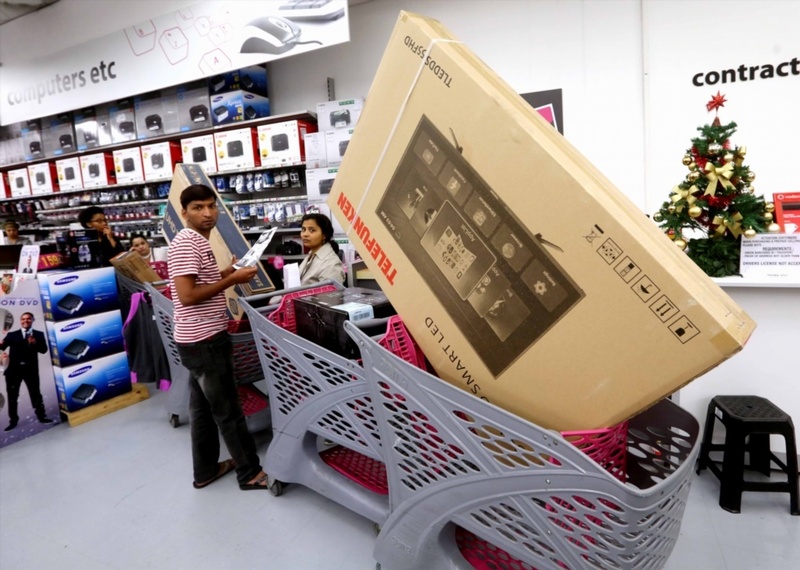 In-store there will be up to 53% discount on electronics and appliances, up to 40% on UHD TVs, up to 39% on 4K TVs. There are further discounts on gaming consoles, smart watches, appliances, Pcs, printers and more. Up to 50% off selected jewellery and watches at American Swiss and Sterns. Some 60% off selected sneakers at Archive as well as up to 50% off its curated collection of streetwear apparel and accessories. Plus size fashion store Donna is running a R159 sale both in-stores and online. Duesouth is offering women’s dresses from R119 and vests for R39, men’s tees for R99, up to 75% off technology and equipment, and an extra 50% off already marked down product. Exact wil have a Buy 1, get 1 Free deal on selected items (both in-stores and online). There’s 50% off Fabiani and G-Star RAW men’s and women’s sale goods. @home has up to R7,000 off its couches, up to R1,000 off its pot sets, and further deals on its kitchen, dining, décor, bedding and furniture ranges. Markham has up to 50% off its fashion sale goods, this ‘Make your Mark’ Black Friday offer is also available in its Relay Jeans stores and on both their online sites. Sportscene will have a 75% off selected sneakers and a curated selection of streetwear apparel and accessories at up to 50% off.